Register HERE for VBS ROAR 2019! Want to Register for Vacation Bible School 2019? *STEP 1: CREATE A KIDCHECK ACCOUNT- If you don't already have a KidCheck account, you will need to create one (if you already have one from last year, skip to Step 2). KidCheck is our online system that will ask for basic emergency and contact information for your child. Creating an account is free and takes less than 5 minutes! Please be sure to fill in and save all information fields. Also be sure to select "First United Methodist-Columbus, MS" as your referring organization. *STEP 2: REGISTER FOR ROAR VBS 2019 - You will need to register your child for this specific event. Look for the "Register Now" button, select your child's name, then click to register. That's it! No forms to fill out or turn in! You're ready to go! Who: Open to children that are entering Kindergarten through children who have completed 5th grade. What: A week of songs, Bible stories, snack, games, fellowship and fun! 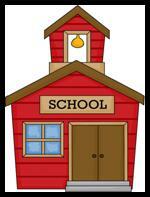 When: June 10th-14th, 9:00 a.m.-12:00 p.m. Children may be checked in as early as 8:30 each morning. Allergy/ Medical Concerns: All important allergy/medical info should be indicated in KidCheck. Please note that the information you enter will appear on your child's name tag as a reminder for adults and volunteers. If you'd rather the medical note remain confidential, just email us at the address below. Unauthorized Guardian Concerns: If there are any custody issues or guardian concerns that we need to be aware of, please indicate these within KidCheck. Please also email us at the address below so we can take extra precautions with the situation. VBS Items: T-shirts and CDs will be available for $10 each at VBS. Cash or checks will be accepted. We will not be taking t-shirt pre-orders this year, so please be sure to purchase your size early in the VBS week! Friend Requests: Participants will be divided into mixed age groups. If two friends want to be in the same group, the request MUST be made at the time of pre-registration. We can not honor friend requests the week of VBS. Mini Lock-in and Parents' Night Out!!! Want to RSVP for the Mini Lock-in and Parents' Night Out? Follow the steps below to get signed up! *STEP 2: REGISTER FOR THE MINI LOCK-IN AND PARENTS' NIGHT OUT - You will need to register your child for this specific event. Look for the "Register Now" button, select your child's name, then click to register. A Children’s Ministry event with a mini lock-in party for the children and a night out for the parents! Dinner, games, and more! Friday, March 1 from 6-10 p.m.
Children younger than 4K will be downstairs in the nursery. $10 for one child, $5 for each additional child. Bring a non-FUMC friend for $5! Thanks for your support, and we will see you in January! Time for Fall Volunteer Signups!!! Time to sign up for Fall J.A.M. Room and Children's Church!!! Thanks for your support, and we will see you at our Back to Church Bash on August 8! Want to Register for Vacation Bible School 2018? *STEP 2: REGISTER FOR MAKER FUN FACTORY VBS 2017 - You will need to register your child for this specific event. Look for the "Register Now" button, select your child's name, then click to register. When: June 11th-17th, 9:00 a.m.-12:00 p.m. Children may be checked in as early as 8:30 each morning. Time to sign up for Spring J.A.M. Room and Children's Church!!! Want to RSVP for the 4K-2nd Grade Pajama Party? *STEP 2: REGISTER FOR THE 4K-2nd Grade Pajama Party- You will need to register your child for this specific event. Look for the "Register Now" button, select your child's name, then click to register. A pajama party with pizza, ice cream, a dance party, a movie, and more! Friday, September 15 from 6-9 p.m.
$10 for the first child, $5 for each additional child.